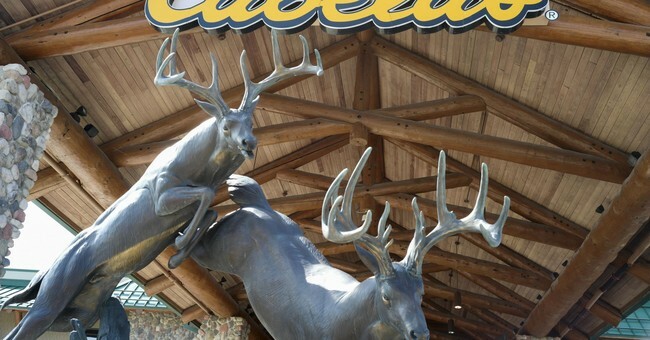 Outdoor retailer Cabela's is facing a lawsuit after one of its stores sold a firearm to a man prohibited from owning one. The man, now 69-year-old Paul Claren of Ohio, later used the gun to murder 21-year-old Bryan Galliher in 2016. In the complaint, attorneys argued Cabela’s, and its parent company, Bass Pro Group LLC, violated state law by selling a “black powder gun” — a replica of an antique firearm made from modern materials — to Paul R. Claren, the Orrville man who killed Galliher using the gun in August 2016. The lawsuit alleges that Claren purchased an 1858 Army .44-caliber black powder revolver from Cabela’s over the phone in December 2014. In July 2016, Cabela’s also sold Claren a black powder loading kit that he used to load the revolver, the lawsuit states. Galliher’s family, namely his mother Gerri and sister Alissa, are seeking “damages and other proper relief resulting from Cabela’s and/or Bass Pro Group’s illegal, negligent, and reckless sale of a firearm to Paul Claren,” according to the complaint. The lawsuit does not specify how much money the plaintiffs are seeking, but the compensatory damages requested will exceed $25,000, according to the complaint. The family is also seeking punitive damages against Claren and the companies. Bass Pro Group, LLC did not return requests for comment. In its article, The Columbus Dispatch explains that Claren has quite the rap sheet. In 2001, he was convicted of felonious assault, a conviction that should have prevented him from purchasing or possessing a firearm. Almost three decades ago, Claren also broke the arm of a mayor after a traffic stop and "was accused of strangling a patient while working at a psychiatric hospital." Though the court acquitted Claren, the hospital fired him--and he wasn't happy. "Claren shot out the windows of the homes of the hospital’s CEO and prosecuting attorney, targeting the rooms of their children," The Dispatch writes. "While in jail for those charges, he threatened to kill the judge that presided over the case." So why did Cabela's sell Claren the firearm, despite his criminal record and violent past? It appears the retailer made the sale because it complied with federal law rather than Ohio state law. As a police officer and chief investigator for the Stark County Coroner’s Office explained, federal law did not require Claren to undergo a background check to purchase the replica of the antique firearm. However, it appears that Ohio's state law did require a background check. Though the Bureau of Alcohol, Tobacco, Firearms, and Explosives (ATF) states, "Because weapons that meet the definition of an 'antique firearm' are not firearms subject to the GCA, licensees need not conduct a background check when transferring an antique firearm," the National Rifle Association Institute for Legislative Action notes that Ohio law treats antique firearms like any modern firearm. "Antique and antique replica rifles, shotguns, or handguns are treated like modern arms for possession, carrying and purchase purposes," the law states. The ATF notes that though a "prohibited person may lawfully possess an antique firearm under Federal law," state and local laws can classify them as "firearms" and regulate them as such. Finally, even though a prohibited person may lawfully possess an antique firearm under Federal law, State or local law may classify such weapons as “firearms” subject to regulation. Any person considering acquiring a black powder weapon should contact his or her State Attorney General’s Office to inquire about the laws and possible State or local restrictions. It looks like Cabela's and Bass Pro Group, LLC are going to come out on the losing end of this one.